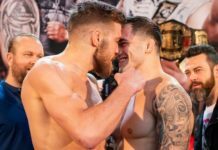 Thiago Silva will make his second walk to the KSW cage when he meets Martin Zawada at KSW 49 in May. 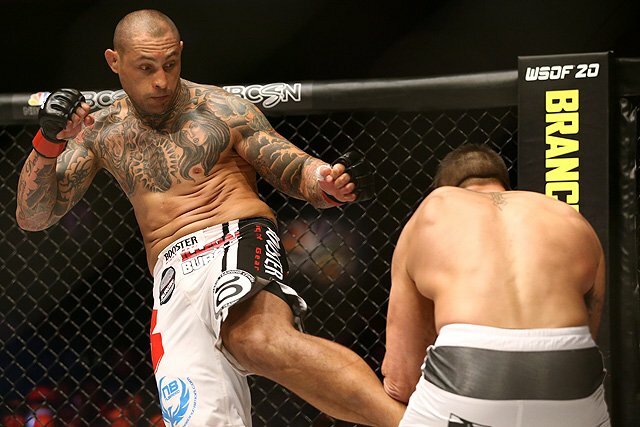 Thiago Silva will return to the KSW cage in May. On Wednesday, MMA Junkie was first to report that the UFC veteran would take on Martin Zawada at KSW 49. KSW officials later confirmed the bout to Cageside Press, and officially announced it via press release. It will be Silva’s second fight in the Polish MMA promotion. Silva (21-8, 2NC) first competed for KSW at KSW 45, where he stepped in to face James McSweeney on short notice. The 36 year old Brazilian won a bloody battle with the Englishman in enemy territory, earning a unanimous decision victory. He’d take his next fight outside KSW, losing to Ivan Shtyrkov at RCC 5. Shtyrkov subsequently signed with the UFC, and makes his debut there this Saturday at UFC St. Petersburg. In the meantime, Silva remains best known for his UFC run, and how he exited that promotion, under allegations of spousal and drug abuse that culminated with a video clip of him brandishing a gun against his wife. Silva escaped facing years in prison, however, when his wife fled the country rather than testify against him. Martin Zawada (28-15-1) will be the second man to face Silva under the KSW banner. He last fought at KSW 44 last June, losing to Michal Materla by knockout. That snapped a two fight win streak he put together in 2017-18. KSW 49 takes place on May 18 at the Ergo Arena in Gdansk, Poland. 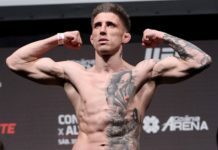 Next articleUFC Featherweight: What’s Next at 145, With or Without Max Holloway?